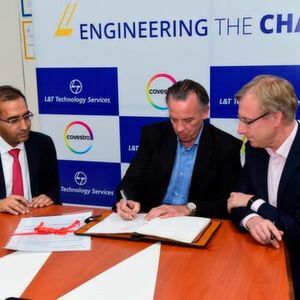 Covestro has chosen L&T Technology Services as one of its major engineering services partners to implement digitalization based Engineering Programs across their global locations. The ER&D services company has been awarded a multi-million dollar contract by the client to execute these engineering transformational programs. 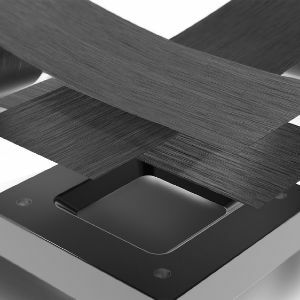 Vadodara/India and Leverkusen/Germany — The manufacturer of high-tech polymer materials is running a digitalization program for engineering, operations and maintenance activities: “OSI2020” (Optimized System Integration). Within this program, L&T Technology Services has been selected as the engineering partner to drive digital transformation across the customer`s eight global locations, especially in the area of data migration. Covestro has also embarked upon another strategic initiative to harmonize their Global Engineering Standards & Practices to increase efficiency of Capital Investment Projects. LTTS is the preferred partner to assist the company in defining, developing and maintaining these standards in line with global practices. This will include updating & improving engineering standards & specifications backed up with knowledge management & cognitive learning tools.